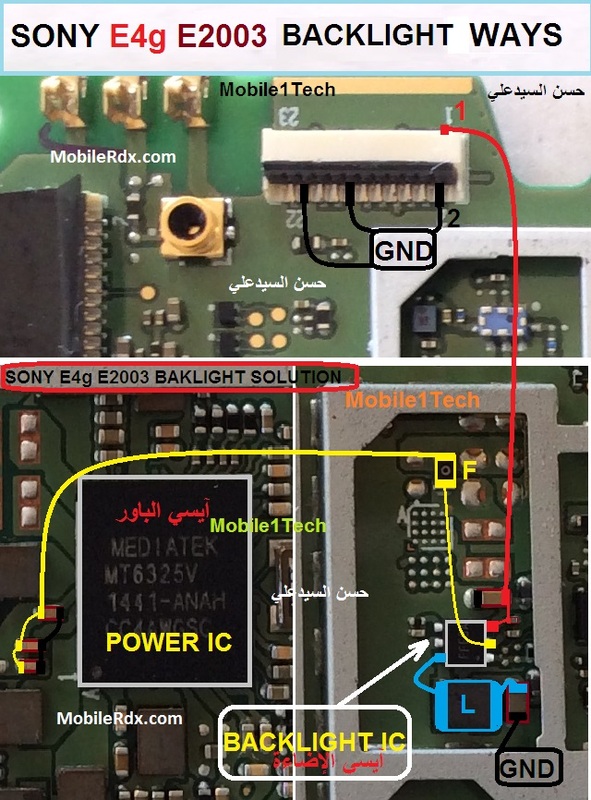 Here’s a troubleshooting hints for Sony Xperia E4G E2003 LCD Display problem such as blank display or no display at all and otherwise a corrupted or garbled display. This solution may help you for easy repair procedures. The quick step to fix display problem, is that you have to verify a working LCD, just replace the LCD screen module at once just to ensure that the LCD is working or not and then proceed to hardware troubleshooting after confirming that the LCD is still fine. Just locate the highlighted components shows on figure solution picture below and do have a careful check up on each one of them one by one.